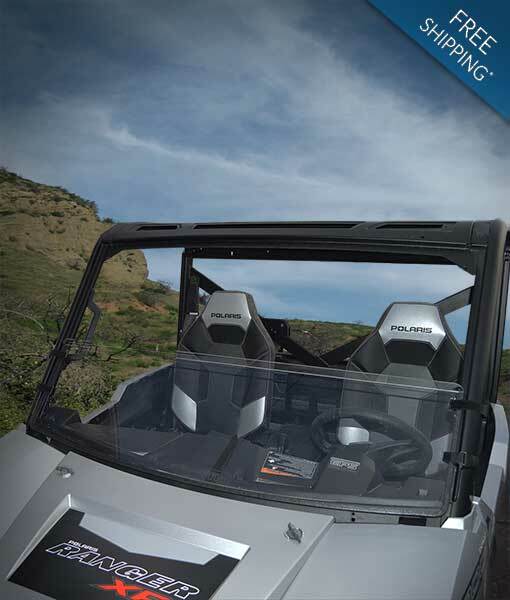 Clearly Tough’s Polaris Full Size Ranger half windshields are clearly superior. You’ll own a precision crafted windshield made from durable polycarbonate with a scratch and abrasion resistant coating. Really. It’s wonderful. You get the best materials at fantastic prices. You will own the best side by side windshield on the market. If for any reason you are dissatisfied, you may return the windshield within 30 days for a refund. Industrial-strength velcro straps are used to mount the windshield directly to the roll cage for a perfect fit. The hardware throughout is durable, weather-resistant and rust free. Vinyl and foam end-caps protect the vehicle from damage, stop rattling and provide a nice seal. Made in the USA. 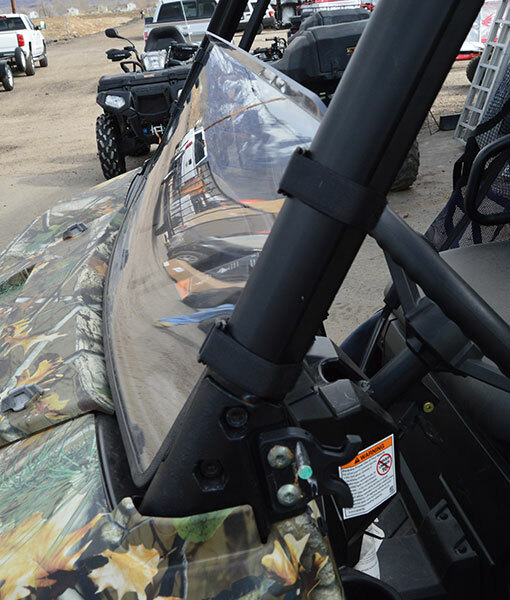 Clearly Tough uses a velcro hook and loop strapping system, so you can attach the windshield to your Polaris Full Size Ranger. There are two sides of each strap, a rough side made of tiny hooks and the mate side made of loops. Press the two sides together and the hooks catch in the loops creating a tight bond. Our patent pending windshields and attachment system benefits you by allowing you to adjust the fit on your vehicle. Other systems require permanent hardware and exacting measurements. With the Clearly Tough system you can slide the straps up or down or adjust the length to accommodate the unique setup of your vehicle even if you have customized it with accessories. Velcro bonds are strong! To demonstrate, they have made full-body velcro suits that can hold a person to a special fabricated wall. NASA knows the power of velcro and makes good use of it. In the past, every space shuttle flew equipped with thousands of feet of Teflon loops and polyester hooks–velcro. They even had a patch of velcro used inside astronauts’ helmets where it served as a nose scratcher.